Hypertension is the clinical term for high blood pressure. Normal blood pressure is defined as 120/80. These are systolic and diastolic blood pressure; systolic being the maximum pressure by which heart would pump blood in your arteries and diastolic being the minimum pressure by which your heart is refilling. High blood pressure is a medical condition that would qualify as the pressure above 140 and above 120 would be prehypertension . For a more detailed diagnosis on what your blood pressure readings indicate about your health, you can refer to these resources and consult a doctor for an appropriate diagnosis. Primary hypertension: When there is no identifiable cause of high blood pressure. Secondary hypertension: Any underlying condition that causes high blood pressure. Age, family history, being obese, being physically inactive, tobacco consumption, lack of minerals and vitamins in the diet are few of the risk factors for developing high blood pressure. Chronic hypertension can lead to heart diseases, heart failure, vascular disease, kidney disease, vision loss etc. Lifestyle changes like weight loss, reduced salt intake, healthy diet, exercise etc. can help reduce high blood pressure. Blood pressure medications are also prescribed. Turmeric shows some excellent anti-hypertensive properties. Spicing up your diet with turmeric can benefit in hypertension. How does turmeric benefit in hypertension? Turmeric can help High Blood pressure patients in several ways. It helps in lowering blood pressure. It also protects the blood vessel structure from damage caused by hypertension and regulates the activity of systems involved in blood pressure regulation. It is a cardioprotective agent and cardiac protects from fibrosis. Turmeric is an excellent anti-inflammatory, anti-oxidant agent and helps in normalizing lipid profile. Renin-angiotensin is a hormonal system that regulates blood pressure. It involves the activity of enzymes-renin and angiotensin as well as receptors or proteins that bind to these enzymes. It also involves kidney function since kidney affects blood volume by filtering it from toxic elements and adjusting electrolyte balance. Research shows that curcumin can reduce hypertension by regulating the activity of angiotensin receptors and thereby preventing the blood vessels from constricting. Not only curcumin, turmeric oil fraction and turmerone also demonstrate similar activity. Both curcumin (the bioactive ingredient of turmeric) and piperine (a bioactive ingredient of black pepper) are found to reduce hypertension and ameliorate damage and structural changes that occur in the blood vessel due to high blood pressure. Research shows that curcumin and its derivatives have vasorelaxant property or ability to relax blood vessels which reduces resistance to blood flow and hence reduces hypertension. Nanocurcumin is proven to have an anti-hypertensive activity which it mediates by inhibiting the activity of enzyme called angiotensin-converting enzyme. Inhibition of this enzyme is found to relax blood vessels. In fact, its anti-hypertensive activity is found to be as good as Captopril, the standard drug used to treat hypertension. Curcumin lowers blood pressure by influencing hormones that control blood pressure and dilating blood vessels. Nanocurcumin is found to be as good as captopril, anti-hypertensive drug. Boonla et. al studied the effect of curcumin on the animal model of hypertension. Curcumin was found to reduce blood pressure and improved functioning of blood vessels by reducing the level of the angiotensin-converting enzyme. Reduction of angiotensin-converting enzyme helps in the relaxation of blood vessels and easing blood flow. By means of its antioxidant nature, it reduced oxidative stress caused by hypertension. Even its derivative, tetrahydrocurcumin shows anti-hypertensive activity. Curcumin’s antioxidant property is found to protect against hypertension caused by toxic metal. Akinyemi et. al have shown that turmeric and ginger extract can help reduce hypertension-related inflammation by reducing the release of inflammatory chemicals in the body. Dietary turmeric and ginger also protect against alterations in platelet activity. Platelets are a type of blood cells that are essential in blood clotting. Curcumin and dietary turmeric can protect from inflammation and oxidative stress occurring due to hypertension. Curcumin has protective effects on the cardiovascular system. It is found to be effective in the treatment of cardiotoxicity, diabetes-induced cardiovascular complications, heart failure, etc. It reduces cholesterol levels and is effective in the treatment of atherosclerosis. Curcumin is found to reverse aging-related changes in arteries and its function. It inhibits hypertension-induced heart failure and also protects the heart from drug-induced toxicity. Endothelial dysfunction is a condition where the endothelium or lining of the blood vessels is affected and there imbalance between biological molecules that regulate constriction and relaxation of blood vessels. Hypertension can occur as a result of endothelial dysfunction. Research shows that curcumin can help in ameliorating endothelial dysfunction and improve vascular health. Curcumin has protective effects on cardiovascular system. Research suggests that curcumin can help in restoring vascular function and ameliorate structural changes which occur in diseased states in the blood vessels. Secondary hypertension is high blood pressure occurring as a result of a certain disease. Turmeric can help mitigate the disease of which high blood pressure is a symptom. Metabolic syndrome is a medical condition that presents with abdominal obesity, high blood pressure, high blood sugar, high blood lipids, etc. Turmeric and nigella sativa seeds are proven to ameliorate all parameters of metabolic syndrome within 8 weeks. Research suggests that daily curcumin consumption can lower blood lipids in individuals suffering from metabolic syndrome. Curcumin in combination with lifestyle changes can help reduce obesity, another risk factor for hypertension. Hassan et.al have shown that curcumin can protect against diabetes-induced hypertension and diabetes-induced changes in blood vessel function. Impairment of thyroid function can lead to hypertension. Curcumin, due to its antioxidant nature, can help in ameliorating hyperthyroidism ( excessive secretion of thyroid hormones) as well as hypothyroidism (deficient production of thyroid hormones). For further details please read Can Turmeric Help In Thyroid disorders and 6 Benefits of Turmeric for Goitre. Curcumin benefits in kidney health and protects kidneys from injury, inflammation and other disorders. Kidneys play an essential role in blood pressure since they filter the toxins from the blood and manage the volume of fluids in the body. Lupus nephritis is inflammation of the kidneys which is characterized by changes in blood pressure. Turmeric supplementation 500mg thrice a day for 3 months was found to reduce blood pressure and improve kidney function in individuals suffering from lupus nephritis. Curcumin’s antioxidant nature helps combat oxidative stress and hypertension occurring as a result of kidney injury. Turmeric and curcumin can help in treatment of disorders like kidney diseases, thyroid disorders, metabolic health issues which can cause high blood pressure. In 2011, Nutrition and Metabolism published a study which was based on the use of curcumin in an animal model of blood pressure. It was carried out using a mixture of natural compounds including piperine, derived from black pepper. The period over which the subjects were studied ranged over 6 weeks. Through the usage of wall thickness and cross-sectional area of the aorta a measure of the extent of structural changes in artery walls post high blood pressure induction, they determined that curcumin could curb the negative changes caused by hypertension on artery walls. Through the administration of curcumin, the study of the dimensions of the aorta of the subjects involved showed that the detrimental morphological effects brought about by high blood pressure were significantly brought down. Research has suggested that the complex renin-angiotensin system (RAS) is crucial to control of blood pressure. However, curcumin provides a suitable natural treatment for this. Yonggang Yao et al.’s investigative study showed that the compound could target a multitude of molecular pathways responsible for hypertension development. In particular, concentrations of AT1R and angiotensin (Ang) II receptor were brought down thus lowering their expression. By lowering the levels of angiotensin receptors in vascular tissues, curcumin helps improve blood pressure function and in turn,reduces the chance of occurrence of heart attacks and stroke. Blood pressure problems are often a result of progressive damage caused by foreign substances entering the body. Damage and death of artery tissue over time cause loss of its stability. Curcumin acts as an antioxidant and protective agent. Through increasing vascular responsiveness and modulating the blood pressure levels, it lessens the impact of damaging chemicals. These properties have been tested in an animal model of Cadmium-induced hypertension and have displayed positive results. Experimental trials with curcumin for hypertension treatment have shown positive results due to its cell regulatory activity. The toxin protective activity of curcumin can be put to use for lowering blood pressure effectively. Fibrosis refers to the process of deterioration or scarring of connective tissue over time. Some molecules and pathways are interconnected causing this damage, some of these are collagen fibres and angiotensin receptors. A 2014 ActaPharmacological Sinica study illustrated how spontaneously hypertensive rats treated with curcumin had decreased systolic blood pressure. This, in turn, resulted in suppression of angiotensin receptor activity as well. A year after this study, Xue-Fen Pang, et al. published another paper further validate these findings. They saw that curcumin administration helped regulate the expression of angiotensin II (Ang II) receptors and angiotensin-converting enzyme 2 (ACE2) which are chief influencers of myocardial fibrosis. The curcumin in turmeric possesses anti-fibrotic properties i.e. it can bring down the damaging effects of angiotensin related enzymes. It monitors oxidative damage enabling it a useful in antihypertensive. Heart problems sometimes arise as a direct effect of other blood pressure disorders, for instance, Ischemic heart disease or heart attacks. It is believed that curcumin protects heart function by modulation of several molecular mechanisms. This was investigated by Abderrahim Nemmaret al. where they saw that animals when treated with curcumin, showed enhanced resistance to diesel exhaust particle (DEP, a compound that causes lung inflammation and blood vessel-damaging events). Thrombosis i.e., the formation of clots within vessels that obstructs blood flow was also mitigated, in turn, preventing pulmonary and cardiovascular disorders. The administration of curcumin activates the behavior-modulating mechanisms in the blood vessels. This ability to manipulate cell signals and reactions imparts blood pressure attenuating ability to the compound. Several recent scientific studies are indicative of the positive effects of turmeric on blood flow regulation. Earlier this year, Jessica R. Santos-Parker and colleagues attempted to determine how curcumin administration could improve endothelial function in arteries. 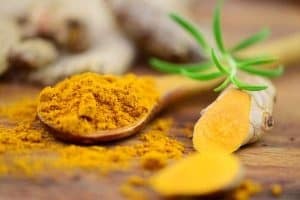 Through investigating various parameters such as artery stiffness and circulating biomarkers of oxidative stress and inflammation, it was seen that curcumin supplementation helps regulate relaxation and constriction of artery walls systematically by bringing about increased nitric oxide bioavailability. This, in turn, allows unhindered blood flow and smooth vascular functionality. Turmeric is rich in antioxidant compounds like curcumin that prevent and reverse damage to cells by obliterating harmful free radicals. These compounds also regulate cell signals and thus are believed to be responsible for the complex’s vascular protecting abilities. Considering the growing popularity of the compound and its increased usage, scientists decided to analyze its efficiency in reducing lipid-related reactions. This study was conducted on an animal model and they evaluated the levels of LDL, triglycerides, and phospholipids post administration of curcumin. Since the compound, curcumin present in turmeric is capable lowering lipids and cholesterol, it has potential to be used for hypertension treatment. The inclusion of turmeric in the diet can help in hypertension. A therapeutic way of taking turmeric is The Golden Paste. It contains black pepper and oil which enhances the absorption of turmeric in the body. 1-2 teaspoons of the Golden Paste taken once or twice daily can help. Here are some easy ways to use The Golden Paste.Turmeric Milk is also a delicious way of taking turmeric. For details on good brands of turmeric supplements and organic turmeric powder please visit this page. Turmeric in the diet is safe. If you are trying turmeric for the first time you might experience slight gastric discomfort which should subside eventually. Curcumin supplementation is found to have a drug interaction with hypertension treating drug, losartan. Therefore if you are taking anti-hypertensive drugs there could be a possible drug interaction with curcumin supplements when taken together. Read: Does Turmeric Interact with Losartan and Amlodipine? Turmeric in the diet is safe since it has a lower percentage of curcumin and free from additives. Dietary turmeric can be taken with blood pressure lowering drugs. Consult a doctor before taking turmeric supplements. Turmeric shows great benefits in heart and vascular health. A simple change of including turmeric in your diet or consuming The Golden Paste can reduce hypertension and related complications. So start taking Turmeric For Health! How Turmeric Helps in Nausea and Ulcers? Curcumin Meriva is exactly what you need. It is PERFECT for knee pain. Look at my post on “Best Meriva Curcumin / Turmeric Supplements (2019 Update)”.No side effects . Can turmeric help in severe knee pain?Any side effects? Hope it works for all.I was asked to start BP meds pretty early,gradually my creatinine went up after taking medicine. Now they say i have inflammation in my brain.I can hardly trust Doctors! PLEASE. I just read that Turmeric interacts with Losartan, but it did not indicate What the reaction (s) could be. I have been taking both for years. 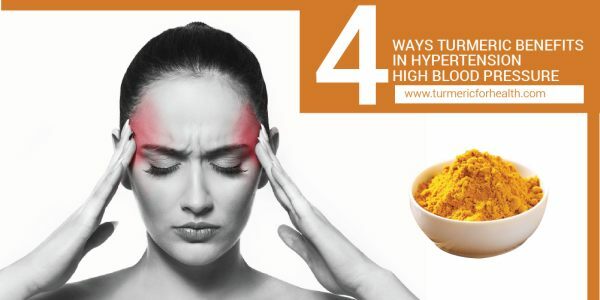 If someone suffering from sugar and high blood pressure then how to use turmeric. Reply please. My mum have recently diagnosed with Lupus and it has caused her low blood platelet (28,000) count. She has no other symptoms otherwise. Is it beneficial for her to take turmeric powder vitamins? What dosage is good for her. The only medication she is taking now is Plaquenil 200mg (1 tablet per day). There is not enough evidence to comment on the possible interaction of turmeric with plaquenil; please consult a doctor before taking curcumin supplements. Hello I was wondering if turmeric would have a bad interaction with losartan potassium thanks! Hi. Dietary turmeric should not pose any risk. 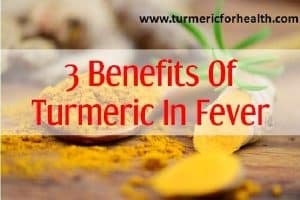 If you are taking large dose of turmeric or opting for curcumin/turmeric supplements then maintain a 3-4 hour gap between taking turmeric and any medication. This is a precautionary measure; no clear clinical evidence indicates drug interactions with turmeric and losartan. 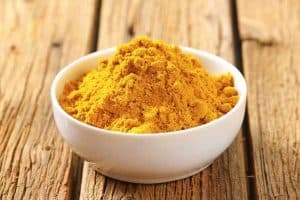 Is Tumeric powder as good as raw/fresh one? Can daily use of tumeric replace high pressure drugs? Turmeric powder and fresh roots have their own benefits and drawbacks. But yes turmeric powder is excellent in its own way and benefits in blood pressure. Readers have reported better blood pressure control after taking turmeric but turmeric is not meant to replace professional help. If it does benefit you, you can consult a health practitioner about reducing conventional medications. Hi I have been using Turmeric in Black Earl Grey tea…should I swich to the paste? Can I use Canola oil and how much black pepper do you use? I’m currently on a few drugs and want to start taking tumeric 500 mg to help with inflammation the meds are revaito torosomide remoudlin ramapril xanax would it be safe? Hi. Dietary turmeric should not pose any risk. If considering turmeric or curcumin supplements consult a health practitioner prior. Great article! Do you have any information on drug interactions with curcumin, especially when taken in high doses? Hi. Thank you for your feedback. Curcumin interferes in drug metabolism and hence it is suggested to avoid its consumption close to the time of taking any medicine. A 3-4 hour gap should be observed. What type of oil can you use instead of the paste olive oil canola oil could you please help me with this. 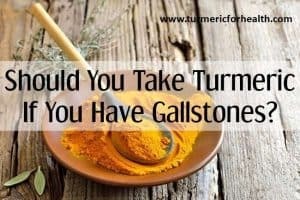 I just found this article that you have I’ve been using warm water and I buy tumeric the spice in a jar and use Pepper with it but I see that you say it does not absorb well. I am concerned about taking Lisinopril 20mg which is a high blood pressure medication…will that interfere with taking Turmeric Curcumin with 50mg of Turmeric Extract standardized at 95% Curcuminoids? Hi. If you take these at separate timings there would be no drug interactions ..at least a 4 hour gap. However what is of concern here is that both reduce blood pressure so it is necessary to monitor a dose of both the medications that suits you. Its best to consult a health practitioner with regards to this. Hi. Thank you for writing to us. A reader’s recommendation is one of our top priorities and you will observe the changes reflected in our article. Research is the crux of our articles but more important is to convey the same in simplest terms without delivering incorrect information. But as per your request we have highlighted what maximum and minimum BP means in medical terms. 120/80 is inflexible considering I am myself on the lower side and still doing well with good stamina but again even I am no expert in defining ‘normal’ blood pressure..therefore for the sake of convenience of the readers we have now included CDC and AHA’s definition of high and normal blood pressure as citations. Hope this helps. i have been dribking with warm water turmeric piwder of one tea spoon every morning in empty stomach. You can opt for Golden Paste for a more therapeutic effect. Before I started taking Turmeric my CRP was 8.2 mg/L, last week I went in for blood work and my CRP was <2.6mg/L after taking Turmeric for 5 months. It has really helped with my inflammation issues. That is great. Thank you for sharing this. Fantastic find, there is so much more i could add like how it helps regulate high and lows ,i’m also getting my sense of smell and taste back. Big Thanks Back to Health Stephen. Thank you for your feedback, Stephen. Do You Need To Cook Turmeric Powder To Get Health Benefits?